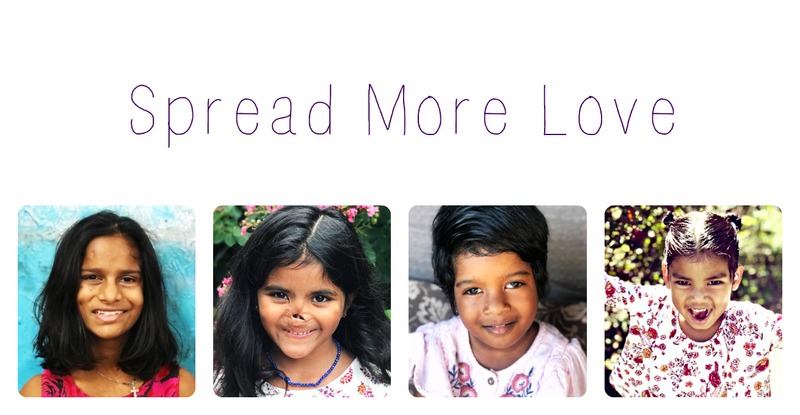 I'm skipping ahead of several posts I wanted to write about India in light of the recent medical concerns that have surfaced. It's a little long, but it was a journey finding the mystery illness. When I picked up Munni on Valentine's Day, she had a nasty cold and a pretty big sty in her right eye. We flew to Delhi that night and on Friday we had our embassy appointment and medical exam. They gave her the physical and TB skin test. We would get the results back on Monday. On Saturday, we toured around Delhi and had a great day! But, Munni's arm was definitely sensitive where the skin test was administered. By Sunday, it was red outside of the circle they had drawn and little tiny blisters were forming. I was getting a little nervous but I knew it is common for people in Asia and Latin America to have positive TB skin tests. Monday came and so did more blisters and more pain. We went to the follow-up and sure enough, her skin test was positive. They sent her to get 2 X-rays. They both came back clear! We headed to the embassy, got her visa, and left that night. I also noticed that Munni's eye was very red in the morning when she woke up and at night before she went to bed. I could tell it was painful. We got back to the US on Wednesday night and by now, her skin test was getting worse. On Saturday, we left for Florida so my parents could meet Munni. Up until this point, I had been putting neosporin on it and putting a bandage on it. Well, we decided in Florida to take off the neosporin and let it dry. It looked like a second degree burn. Her eye was also worsening and we tried putting drops in to see if that would help. We weren't sure if it was pink eye or not. We got back late Wednesday night and I was so glad to be home. I was really looking forward to getting settled into our routine and concentrate on bonding and attachment. I scheduled her first pediatric appointment for Monday. Well, by Friday it looked worse than ever so I headed over to the little clinic thinking it was a bad case of pink eye. The nurse immediately told me that I needed to head to the emergency room. In fact, she felt so strongly about it that she called down there and told them we were coming. We got to Children's and they took us right back. All of the nurses were amazing with Munni! We were there for about 4 hours and they did all kinds of drops and dilations and took pictures of her eye. They wanted the ophthalmologist to look at it so we went back Saturday morning. While we were in the ER, they also scheduled our appointment for the International Adoption Clinic for Monday morning at 8 am. Saturday morning came and we headed back the Children's and the ophthalmology department. Well, the Dr. didn't like what he saw. It just so happened that a corneal specialist, who only sees patients once a month, happened to be there and came and looked at Munni's eye. He said it was "very rare, very unusual, and very serious." They took all kinds of cultures and treated it as if it were ocular herpes, which was a possibility. We had a follow up scheduled for Monday as well. Sunday was my birthday so we went and celebrated with my best friend and her daughters. It was a nice little break from all the medical stuff. I thought back to my birthday 3 years ago when I formally announced that I had started the adoption process and had been accepted to the Nepal program. I looked at Munni sitting next to me and was overwhelmed :) It was an emotional day for sure! Monday was probably the worst medical/emotional day for Munni and me. We were there from 8-5 and she endured all kinds of pokes, prodding, more eye exams and finished it off with 25 or so vials of blood taken. They also scanned the X-rays I had from India. This was a miracle because my carry on that had all of Munni's adoption paperwork, medical information, and my camera was stolen in the DFW airport (that's an entire post :) the only reason I had her X-rays was because I didn't want to fold them so I put them in my checked luggage. Tuesday they called me and said there was a spot on Munni's right lung in the X-ray so they wanted to do a cat scan and also a biopsy and shave some tissue off of her eye. They scheduled the surgery and cat scan for Thursday. Thursday morning came I had 15 missed calls and messages. Say what?? I called K, the IAC nurse who had been orchestrating everything and she said Munni's blood test came back positive for Tuberculosis. So they knew that she had the bacteria in her body but what they didn't know is if it was active or latent. The facility where everything was going to take place didn't have proper quarantine facilities so they had to reschedule everything. I was kind of freaking out. I thought about all the people we had been around; we flew to Florida, we spent some time with my best friend and her daughter, one of which was only 3 months old, family, the list went on. K told me we would cross that bridge when we came to it. The worst case scenario is that she would be quarantined for 1-2 months. That would mean I couldn't go back to school when planned and I would have all kinds of issues with insurance and money. It also meant that all those people would have to be skin tested for TB. I realized though that stressing about it does not solve problems. I just prayed that everything would be in the Lord's hands and if that came to pass, I had to trust that he would provide everything we needed. My sister volunteered to be my personal assistant and go to all the doctor appointments with me. She also did ALL kinds of research so we would be well informed and know what kinds of questions to ask. I can't even tell you how thankful I am for her doing this because Munni needs so much attention there is no way I could do this on my own. On Friday, my sister picked us up and we went down for the cat scan. The main IAC doctor, K, and another doctor met us there. They told us what to expect and made sure I had my bag in the event we would be admitted for the weekend. After the cat scan was finished, the Dr. and K came to talk to us. They said it was a miracle that Munni is alive. She had a very, very bad case of Tuberculosis that was all through her body- her lungs, neck, chest and lymphatic system. Everything in her lungs was calcified so she is not contagious but she still has some nodes in her lymphatic system that are not all the way healed. One of them in particular may need to be removed. We still don't know yet. Because all of the nodes aren't healed yet means that she had it recently and that she contracted it from an adult in the orphanage. The TB is active in her right eye but basically impossible to spread. They were dumbfounded that she has survived everything that she has gone through in her life so far. The next step is to get the eye biopsy. They will grow it to determine exactly what kind of medicines she will be taking for the next 9 months - 1 year. I called my caseworker to let her know about everything that was discovered and she is going to inform the orphanage. 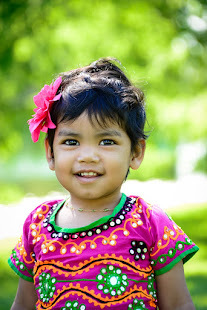 I pray that no other children get infected as I worry about the health care for them in Ind*a.
L my caseworker told me that everything about Munni's adoption was one miracle after another and now we see why. She NEEDED to get here. She NEEDS this medicine and she needs love and a family to help her heal from her past. It is truly a miracle that Ind*a signed off on her X-rays. There should have been other tests done and those would have prevented her from coming home with me. I really don't think I have processed everything. I've been in "let's get this done" mode and forged ahead. Every morning when we wake up, she smiles at me and hugs me. I think to myself what a miracle it is that she has joy in her heart. Please keep praying for us: 1) that she will get the right medicines 2) that we can continue to bond as mother and daughter 3) that I can process all of this in a healthy way. I love her so much and sometimes it's overwhelming to know that I have been entrusted with the precious little girl. I pray that God gives me the wisdom to be the right mom for her and to give her what she needs. Thank you for all of your prayers and support!!!! Oh, Kristen, I cannot even imagine going through all of this, as Munni or as you, her mother. May God continue to bless you both with excellent medical care, and may He heal Munni completely as quickly as possible. My prayers are with you both. First I will be praying for Munni...and you, mama!! But what a miracle, praise Jesus!! When it is time to come home, it is time and God orchestrated the lack of tests to get her home!! Also, perhaps her homecoming will save the lives of other children as now this information will get to the right people! As for us, when we got home we noticed a big error on our adoption paperwork that also should have held us up. God is good! We wait and wait and wonder if He is moving. But then when He brings forth what He has promised He shows us that we came home solely because of HIM! Kristen, I am so sorry to hear about all this. It is staggering. The illness, the miracles, the treatment she needs -- each mind-blowing in its own way. What an overwhelming initiation to your new life together. I am so glad you have excellent doctors and the support of family & friends. 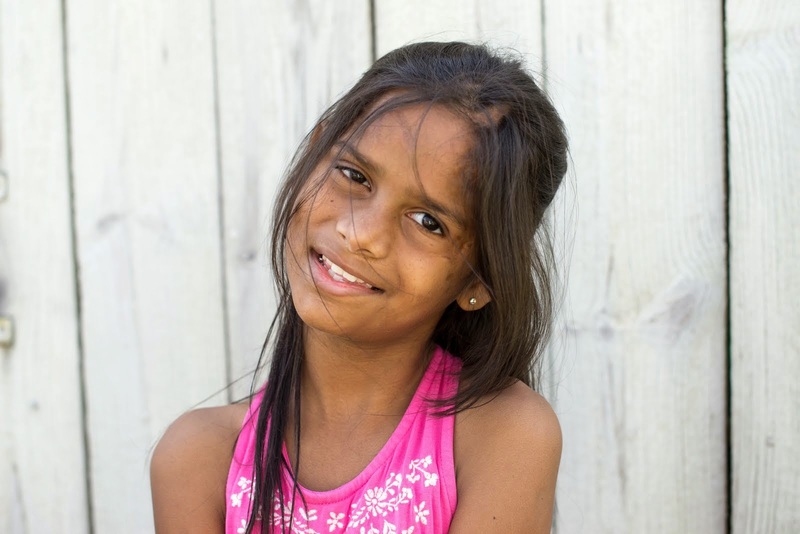 We will continue to pray for Munni every day! Any time a family comes together, it is a miracle . . . but the timing of Munni's homecoming is particularly miraculous. So, so grateful you have good medical people helping you, and praying for peace and healing as you begin to address her needs. Wow, what an amazing testimony to God's awesome power! I'll be praying for all the things you asked. Praise God that He had a plan to save her life and you had a willing heart to help accomplish it! Oh Kristen, your precious girl has been through so much. I'm so glad that she is with you now. 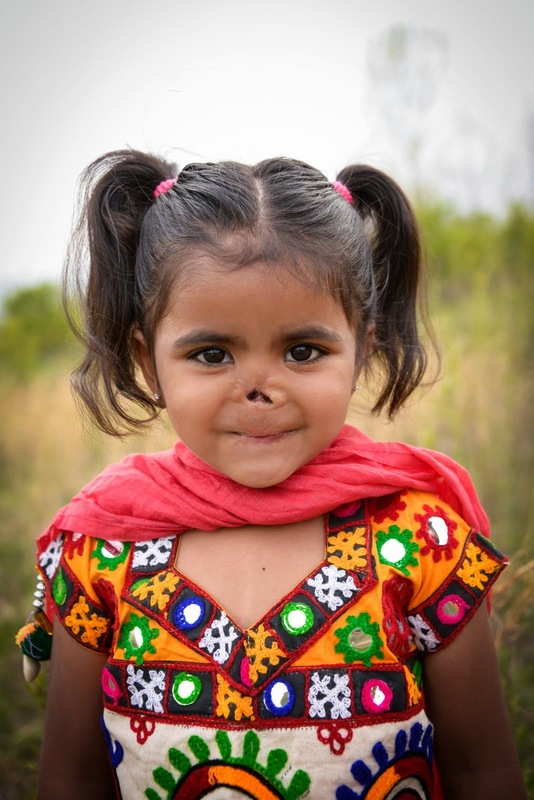 Yes, so thankful that Munni is where she needs to be to get the proper care required. I hope that these medical needs can also help forge that bond between the two of you as she learns first hand how deeply you care for her and her well being. I will be praying that good health comes quickly! Wow how exhausting! Praying she will heal fast! New to your blog and just read your post. Prayers and Blessings to you and your daughter. I can only imagine what you and little Munni have been going through. I picked up my 4.5 yo old from India last year and we went through a lot with her medical condition - still nothing close to what you have been through. My little girl's orphanage name is Munni too.